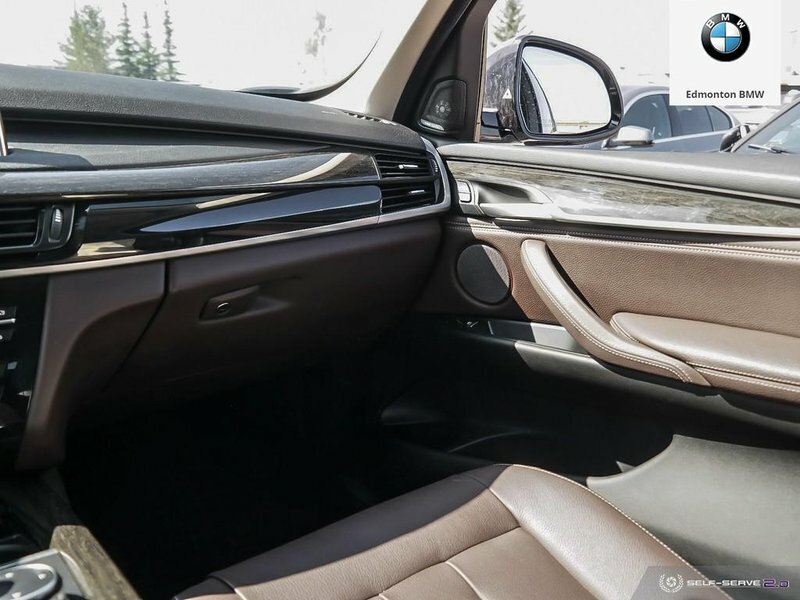 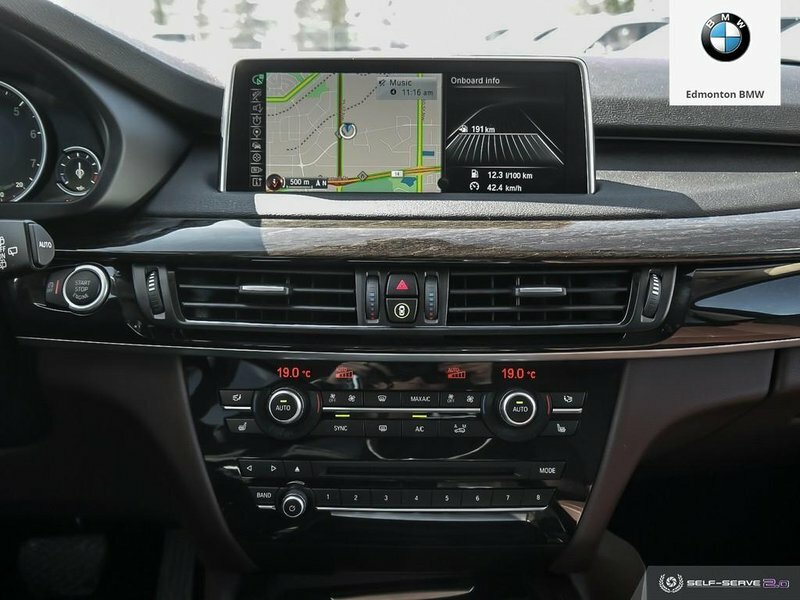 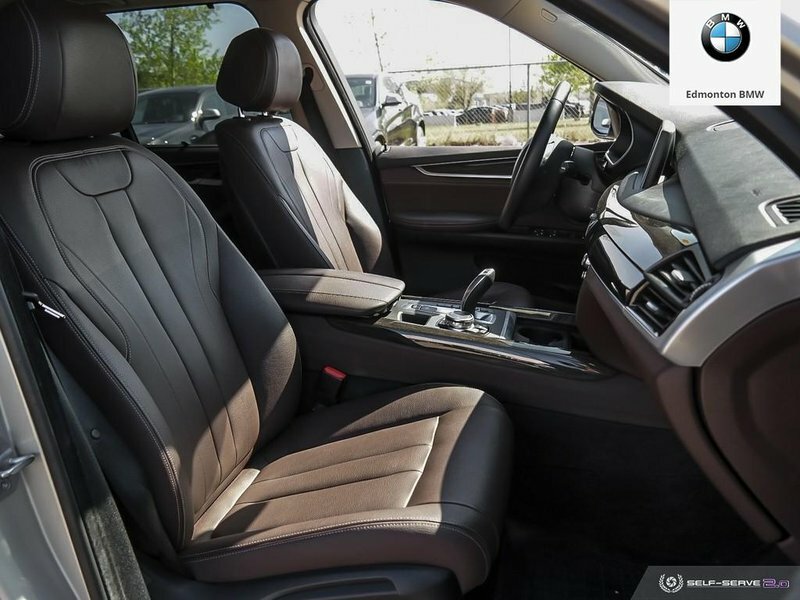 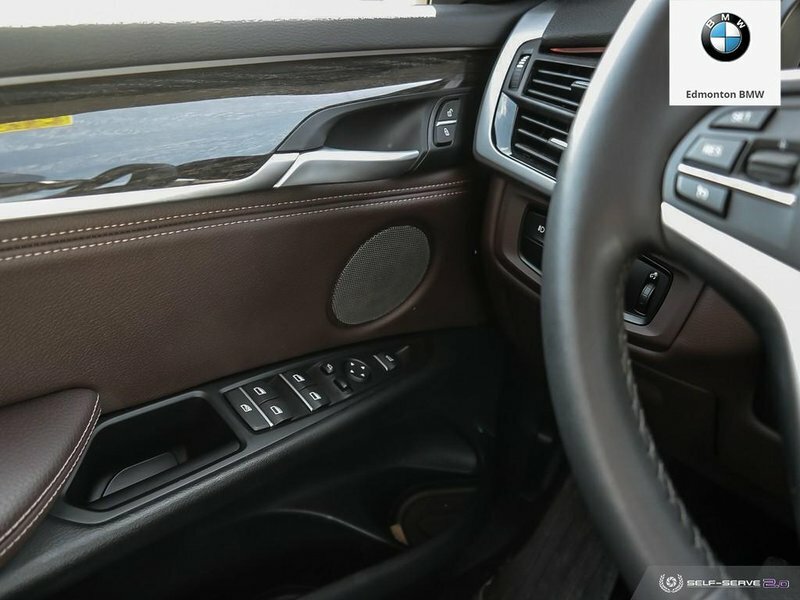 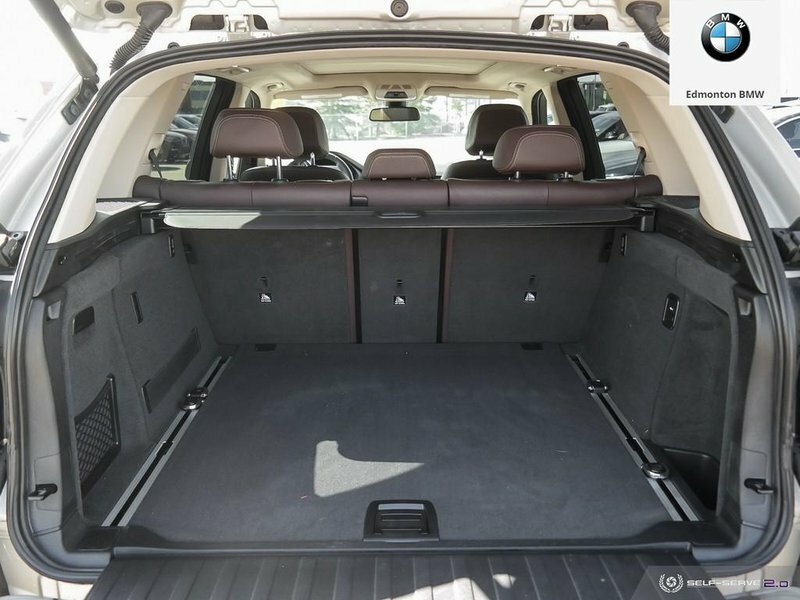 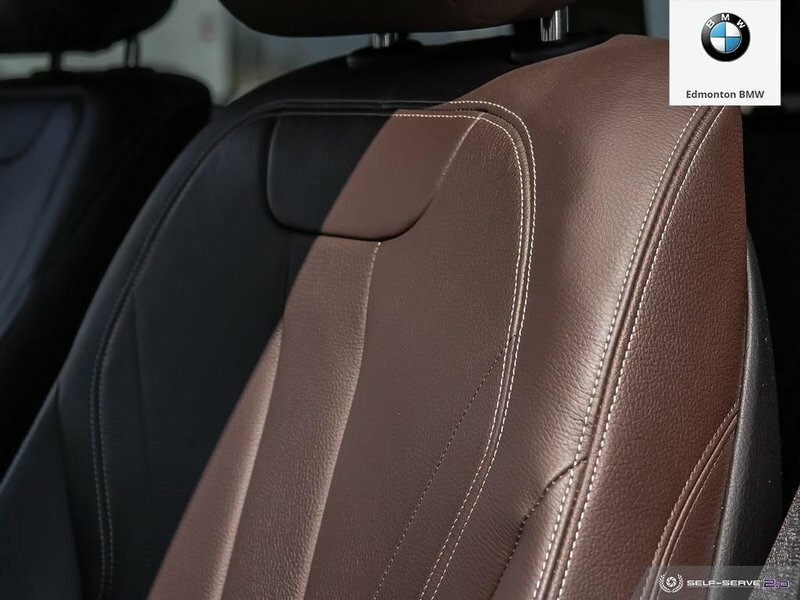 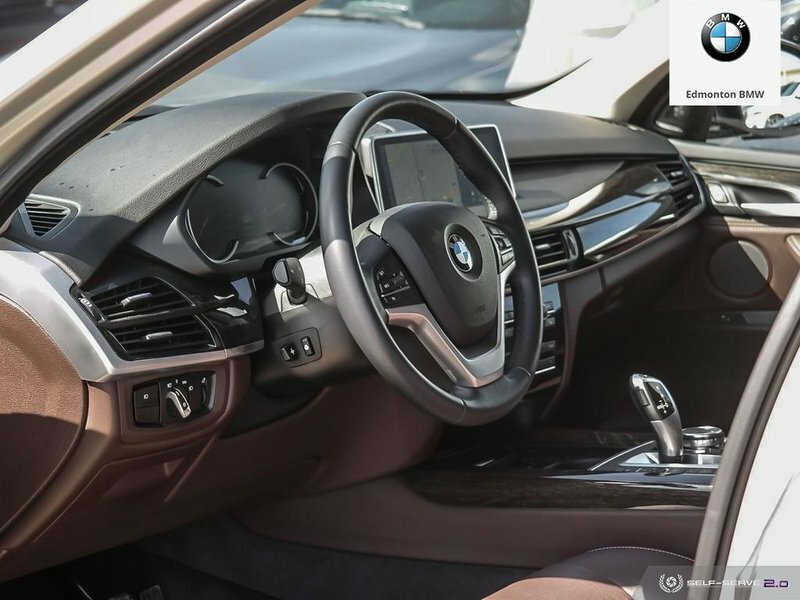 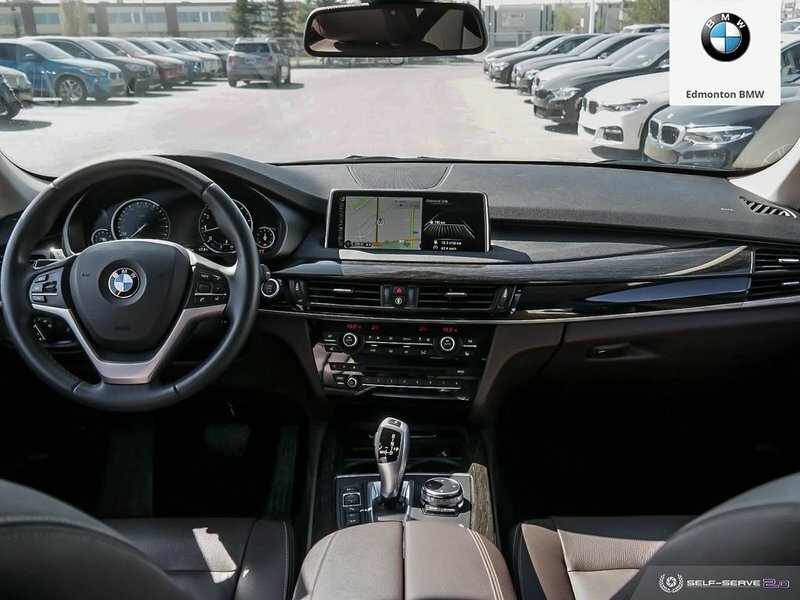 Key features include Premium Package Enhanced, Driving Assistant, Harmon/Kardon sound system, heated seats, heated steering wheel, parking sensors, and Bluetooth. 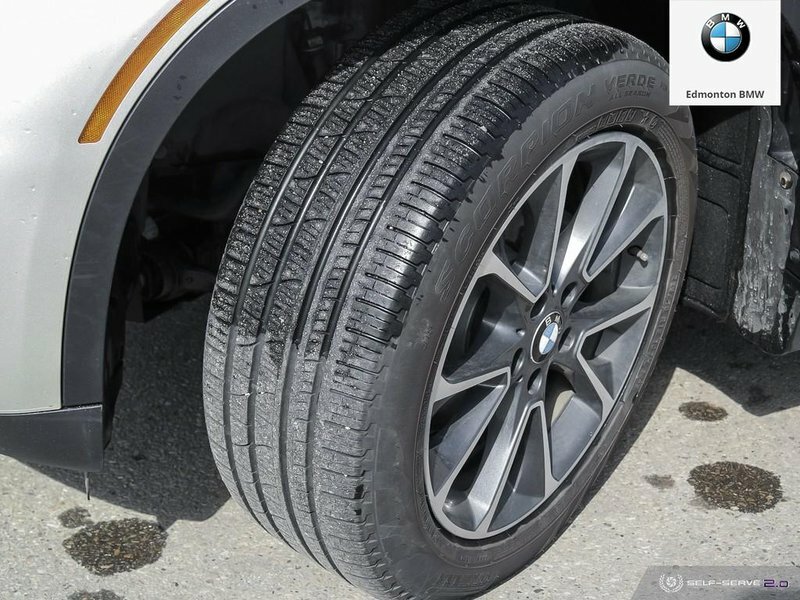 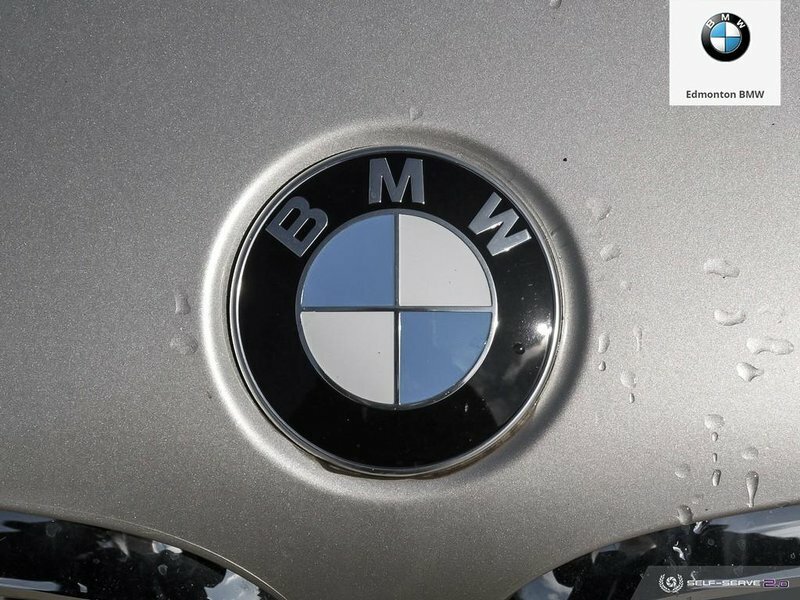 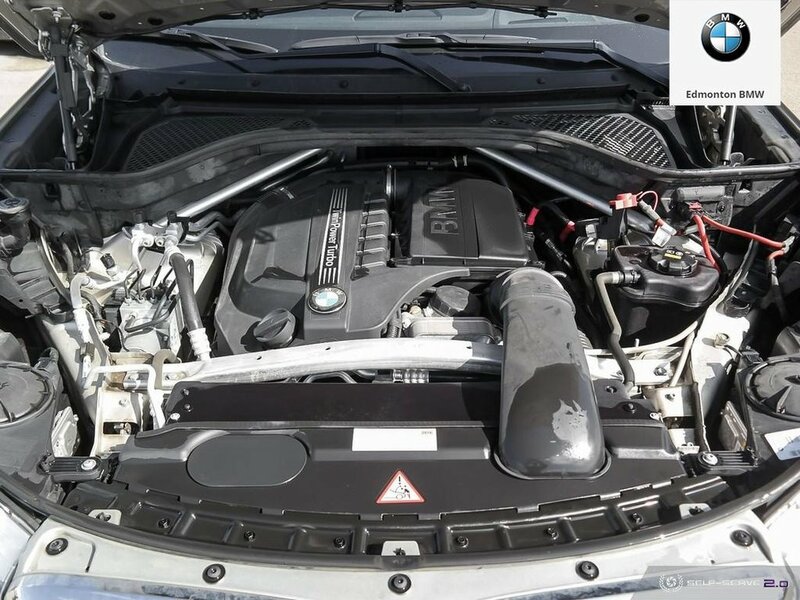 You can purchase this BMW with confidence. 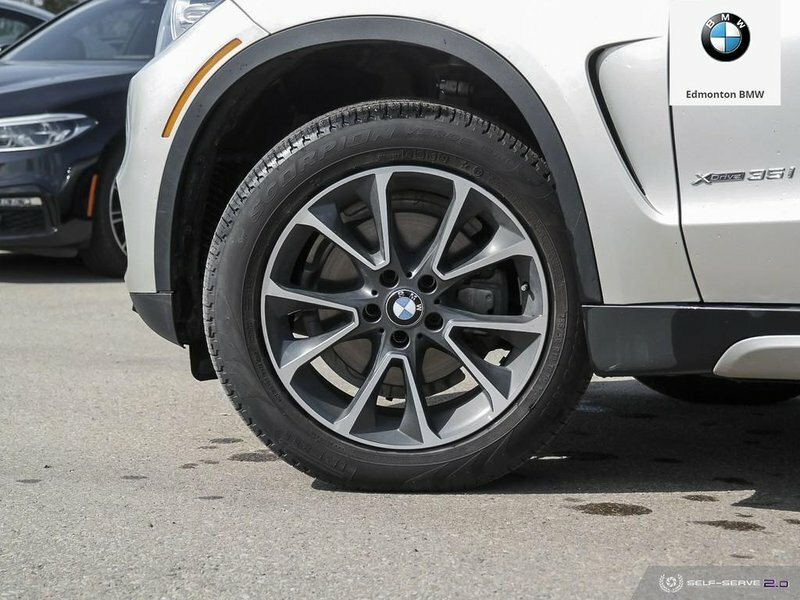 All of our pre-owned inventory have been reconditioned, fully detailed and have gone through our multi-point inspection that involves an oil change, wheel alignment, and brake flush, etc. 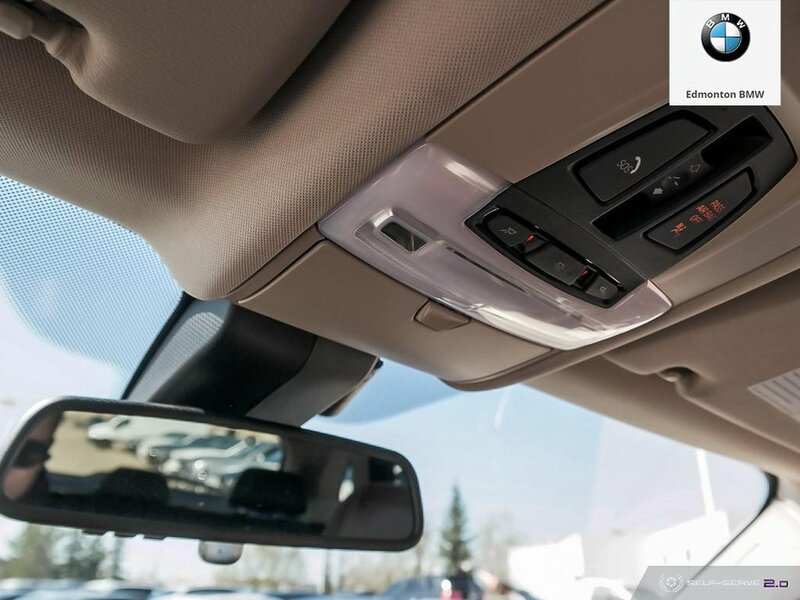 This vehicle’s CARPROOF states that it is accident free with no previous damage records and it was locally owned and driven by one previous owner. 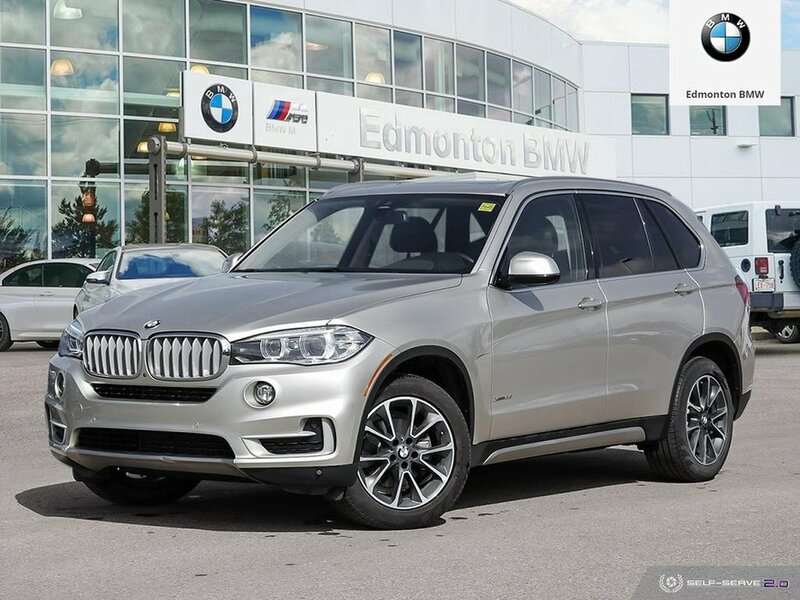 In its third generation, the BMW X5 once again surpasses its own standards – as a Sports Activity Vehicle (SAV) that offers outstanding luxury in all areas in which the highest demands are made. 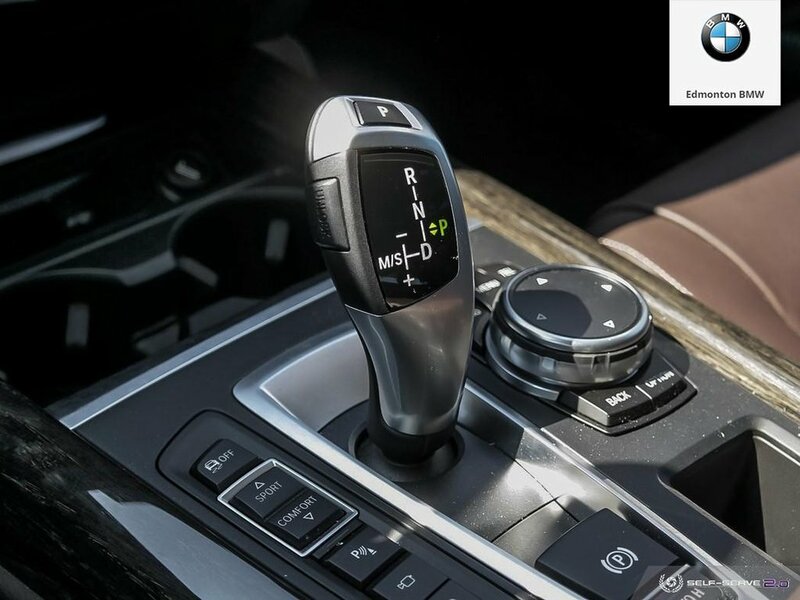 This is guaranteed by a wide range of intelligent technologies that elevate efficiency, driving dynamics, comfort and versatility to a whole new level – both on and off the road. 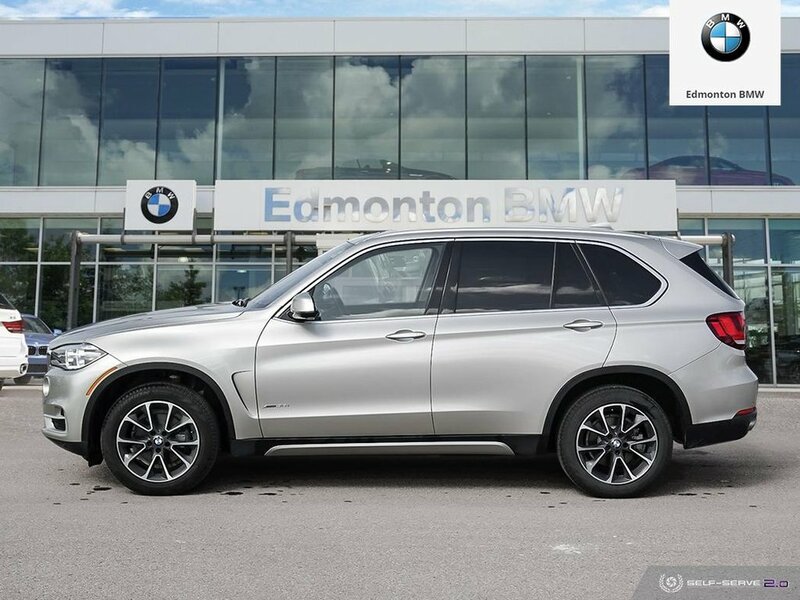 The driving dynamics of the BMW X5 ensure driving fun every time you get behind the wheel – with every twist and turn and at all speeds. 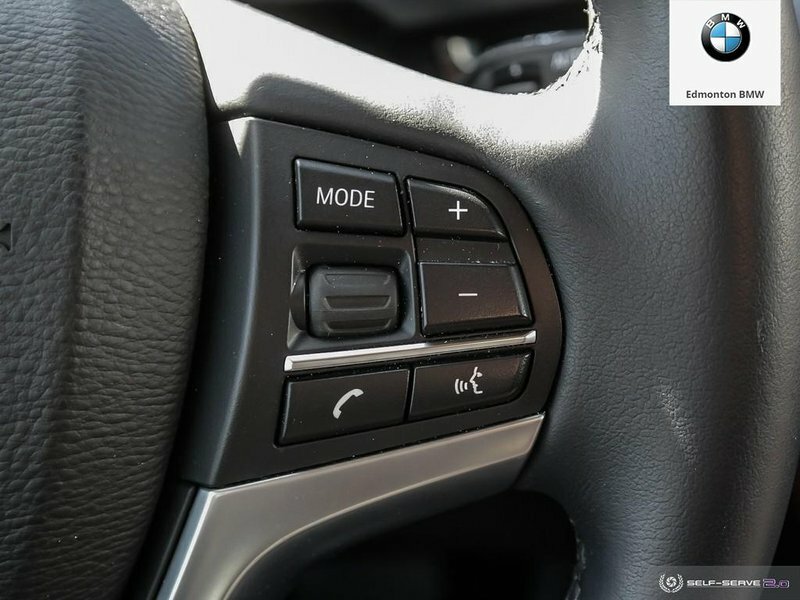 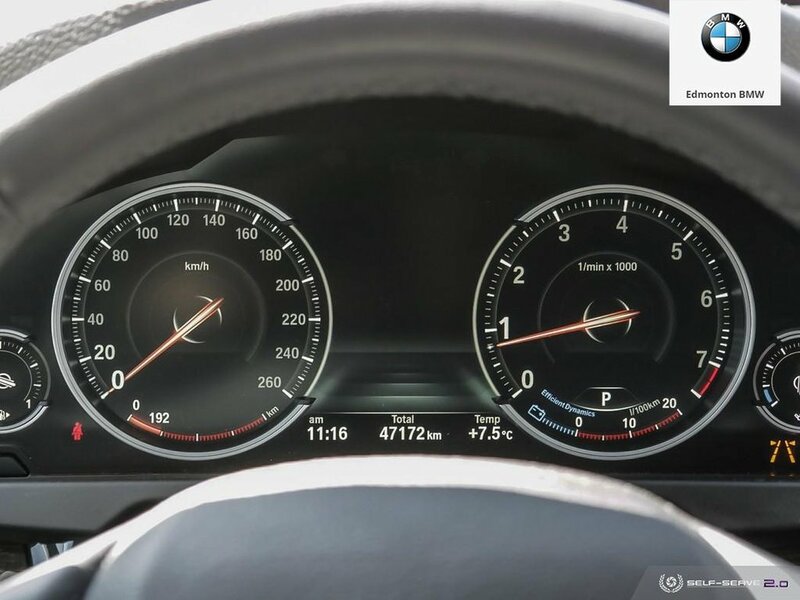 The driver assistance systems guarantee perfect contact with the driving surface, be it on tight bends, during steep descents or at high speeds. 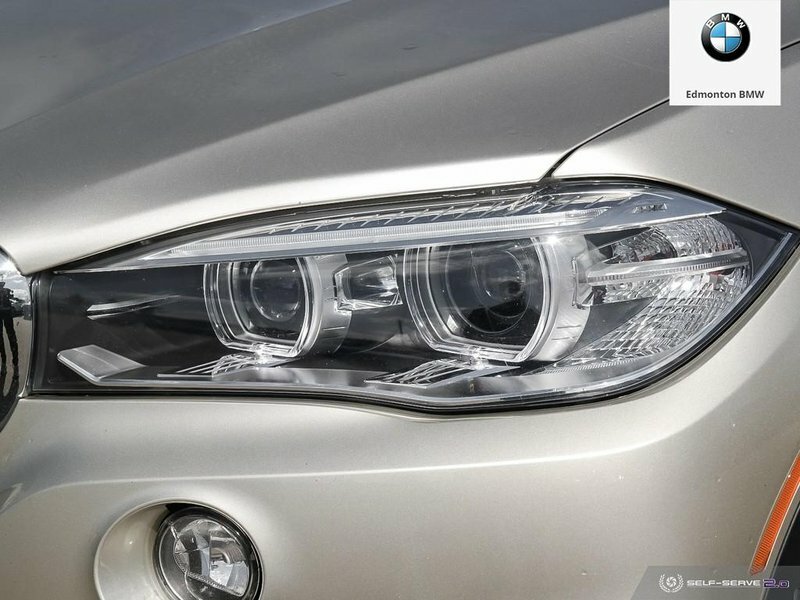 Strong characters are instantly recognizable. 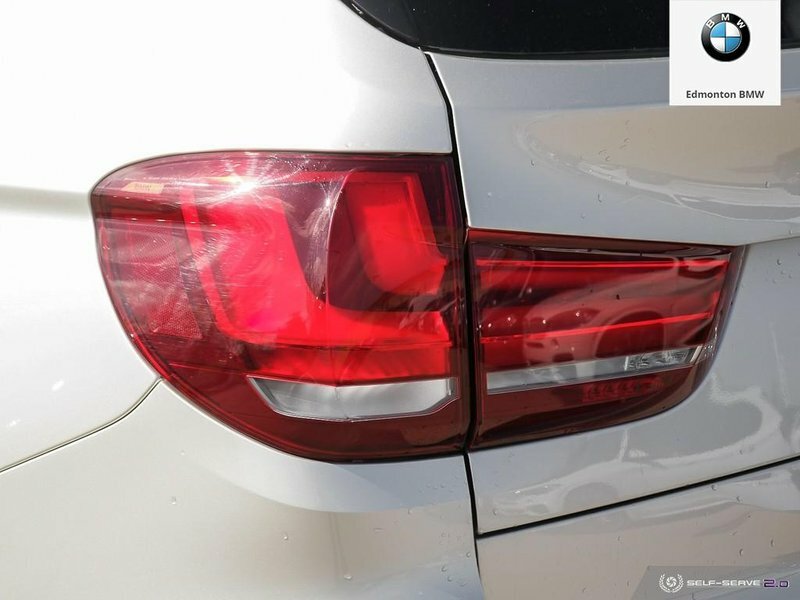 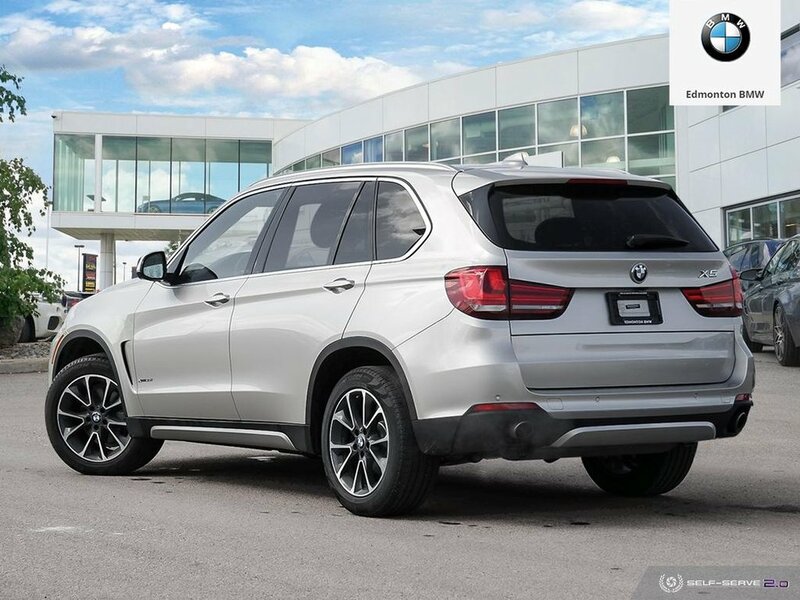 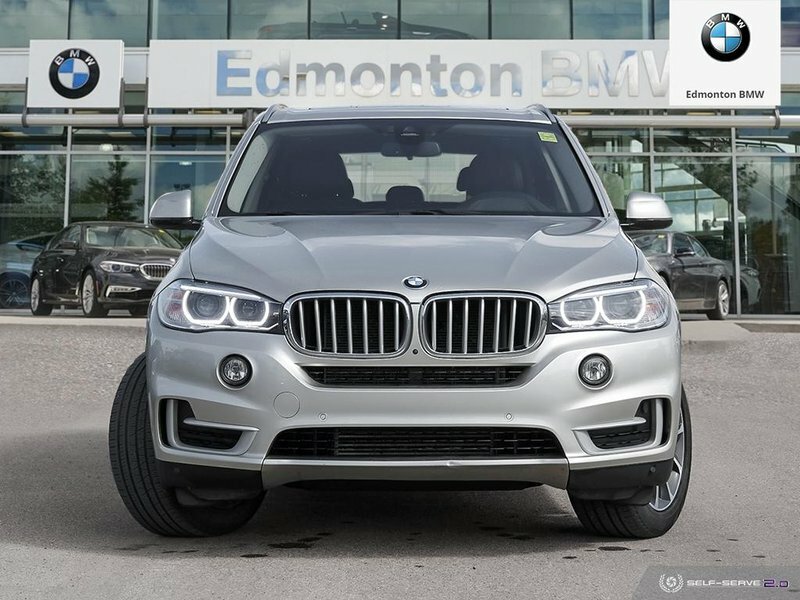 From the very first moment you set eyes on it, the BMW X5 grabs your attention – and keeps it. 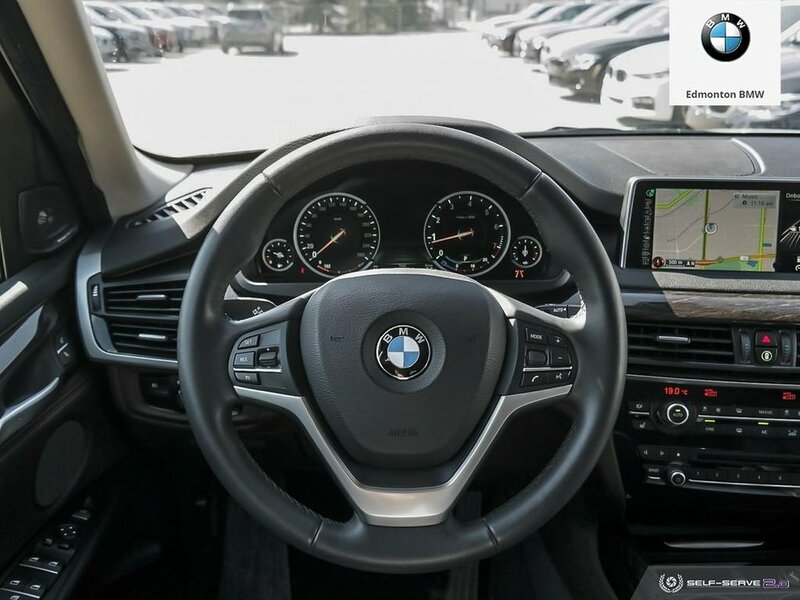 And once inside, you enjoy every single kilometer in the top-quality cockpit. 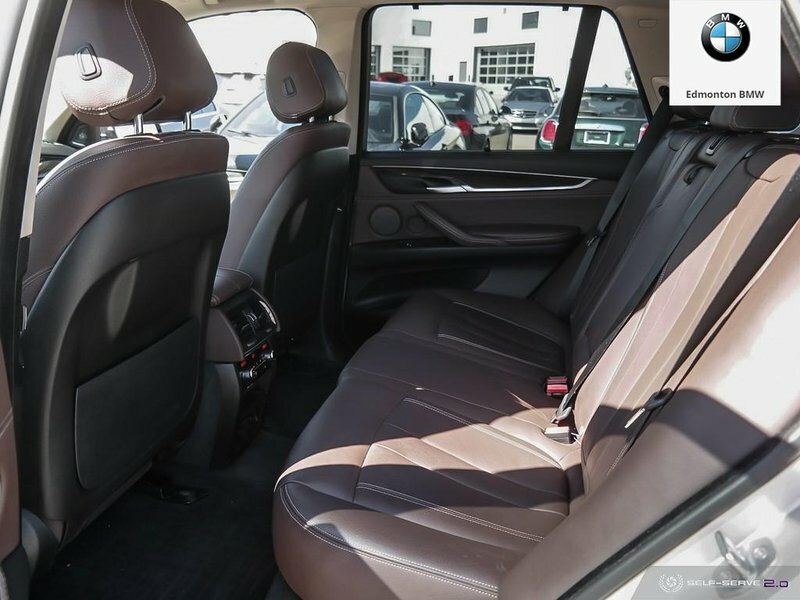 The elevated seating position, for example, gives you an ideal view of the road ahead – and of the high-quality materials in the interior. 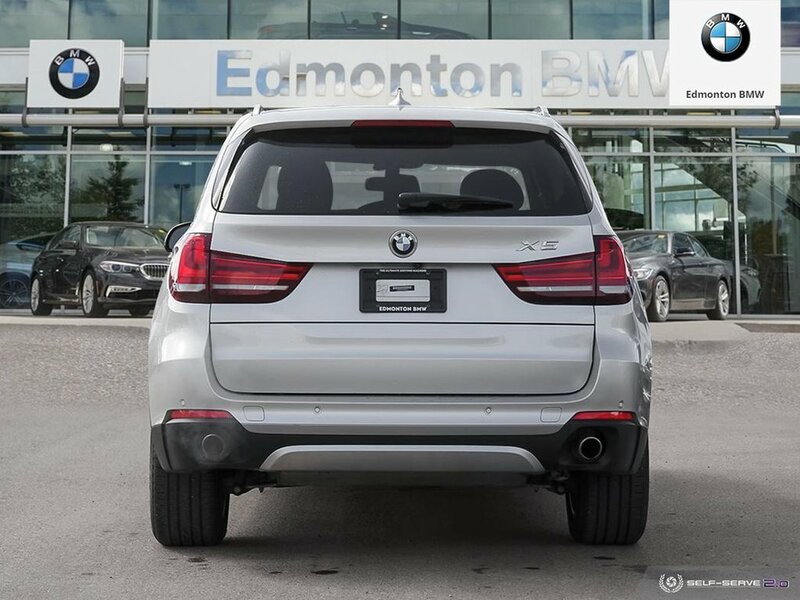 Contact our Sales Department at (780) 701-5093 or email sales@edmbmw.com to schedule a private viewing and test drive at Edmonton BMW the ONLY place to experience the “Ultimate Driving Machine”.